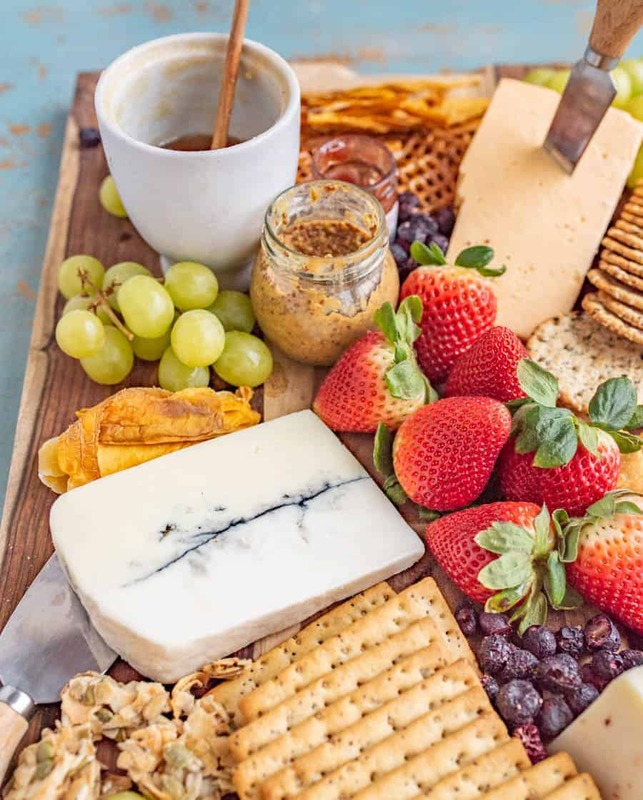 This classic cheese board has a little something for everyone! I like to fill my cheese boards with sweet, savory, and salty elements to round out the flavors and textures. 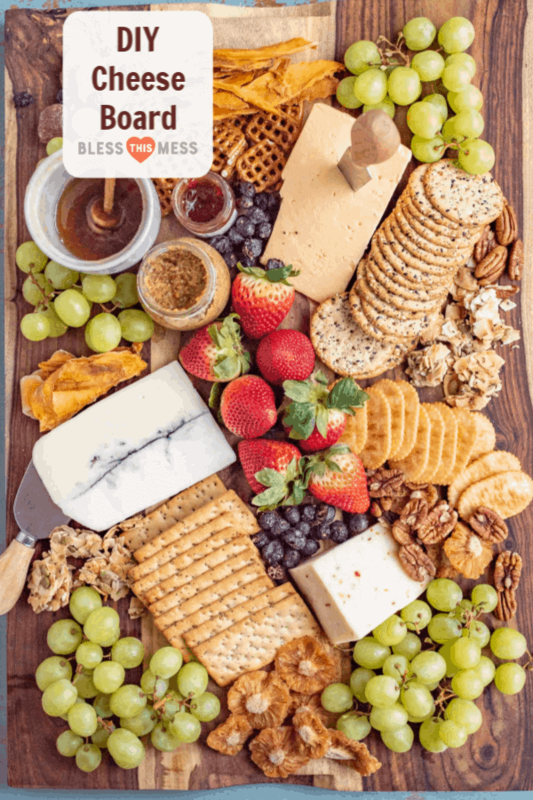 I do a whole lot of themed cheese boards here on Bless this Mess, so today I thought I’d share a super classic cheese board that has all of the right elements. It’s not too fancy, hard to make, or hard to find the ingredients. But it is so delicious and fun to eat. 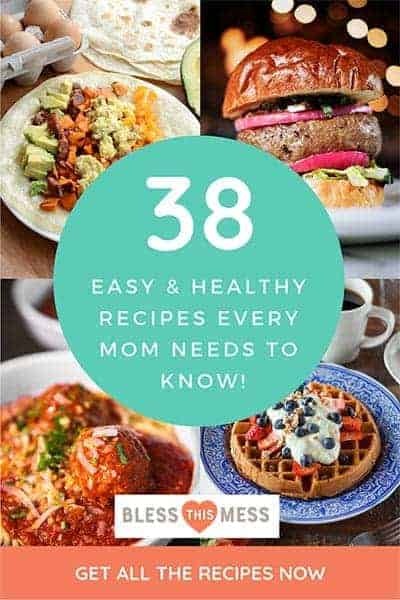 The main ingredients are cheese, crackers, some fruit, and condiments. Don’t overthink this one; if you get the right ingredients, it’ll come together with great tastes and look beautiful. I serve cheese boards often for easy family dinners. I also love to take a board to a party or get-together as a “dish” I’m contributing for the event. And I also love to have a small one out as an appetizer for parties and nice dinners. My other tip? Buy what you like! I love a sharp cheddar always and forever. I know I like goat cheeses with herbs or fruit. I always like a good Swiss. It doesn’t have to be anything too fancy or expensive. Wanting to try a new cheese? Most cheese sections have a little basket of small odds and ends of cheeses that are inexpensive because of the small portions. This is my favorite way to test out a new-to-me cheese without committing to a whole chunk. What meats go on a cheese board? 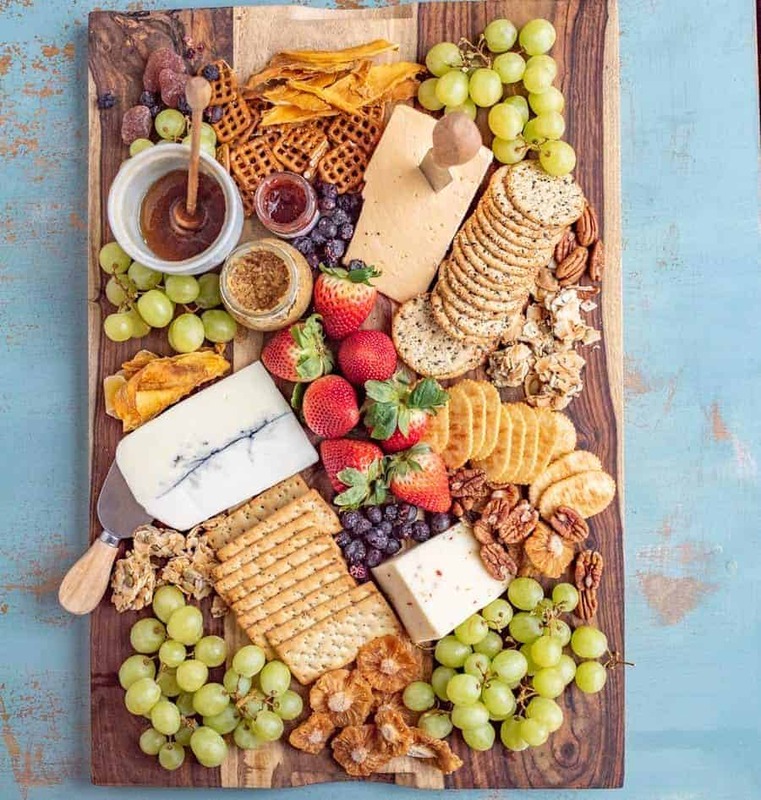 You don’t need meat on your cheese board, but if you want to pack a little protein into the snack, there are tons of options. Dry-cured salami, sopressata, prosciutto, and mortadella are all savory options that are great for stacking on a cracker with some cheese. They’re also finger-food-friendly… AKA, perfect for cheese boards! No clue what those are? Try chopped ham or pepperoni on your next cheese board. How do you build a cheese board? There are two schools of thought for cheese boards: disheveled vs. orderly. It’s totally up to you which style you prefer, but the key is to pack as much goodness onto the board as possible. Once you pick your cheese board ingredients, arrange the cheeses first (the most important ingredient, after all), and then place the rest of the crackers, nuts, fruit, and other items around the cheese. Finish with a garnish (seasonal items, dried fruit, and even other organics like leaves, herbs, or whole apples work great), and enjoy! 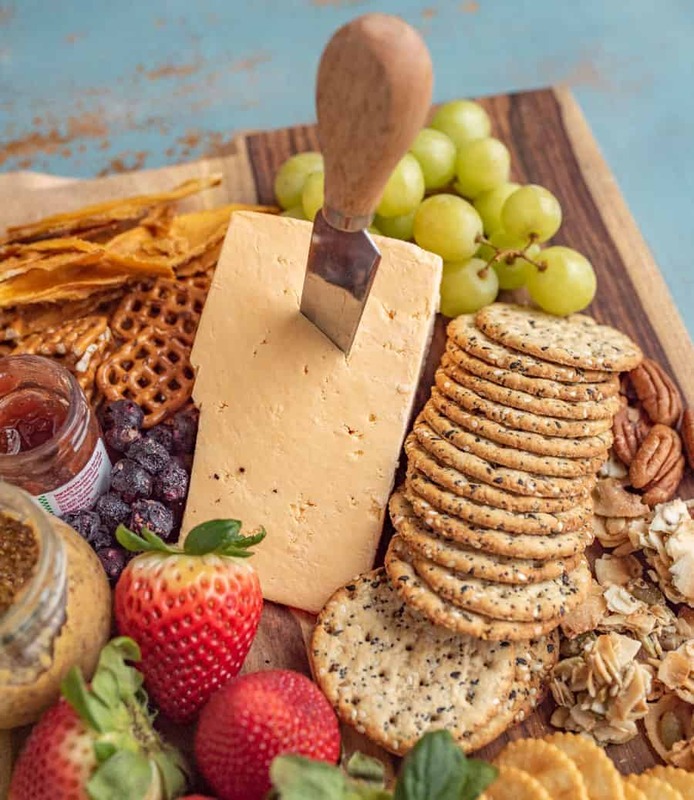 Arrange the cheeses first (the most important ingredient, after all), and then place the rest of the crackers, nuts, fruit, and other items around the cheese. Finish with a garnish (seasonal items, dried fruit, and even other organics like leaves, herbs, or whole apples work great), and enjoy! Don’t think too much; just go for it and have fun. 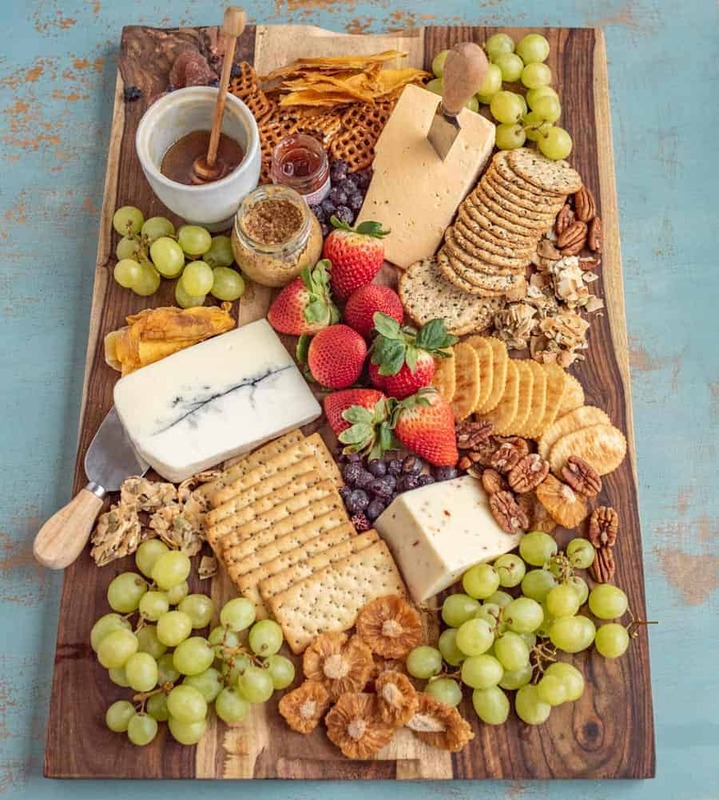 When eating a cheese board, making flavor combos on your cracker is half the fun. Add cheese, mustard, a slice of apple, and a drizzle of honey to your cracker. The combinations are endless but half of the fun of eating from a cheese board. So many pretty and delicious things to look at. 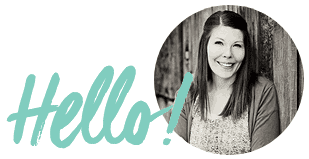 I want to make cheese boards attainable for you, and to help you not to be intimidated by them. What questions do you have? Concerns? I’m all ears!